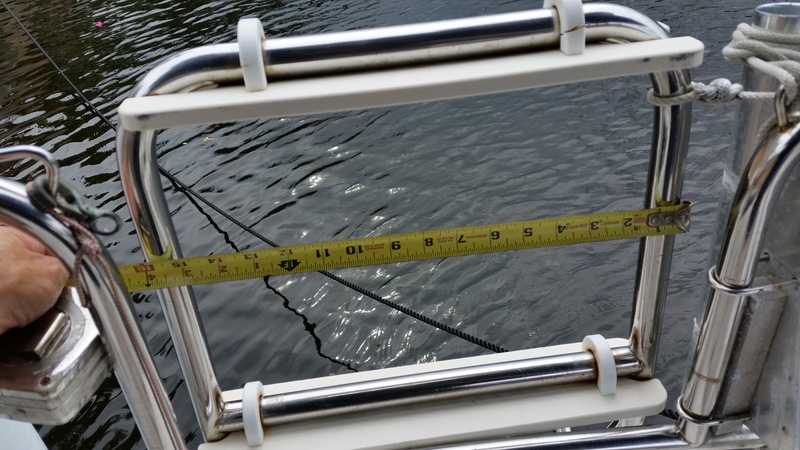 The survey valued the boat slightly higher than the selling price - good, but, and we expected to learn this, there were a few things that needed fixing that were pretty important. Top of one list is the Propane system solenoid. It had been disconnected and Deke had advised me on day one about that. When we were at anchor in Lake Boca, I took a brief swim to view the boat from the waterline, every boat owner does that! 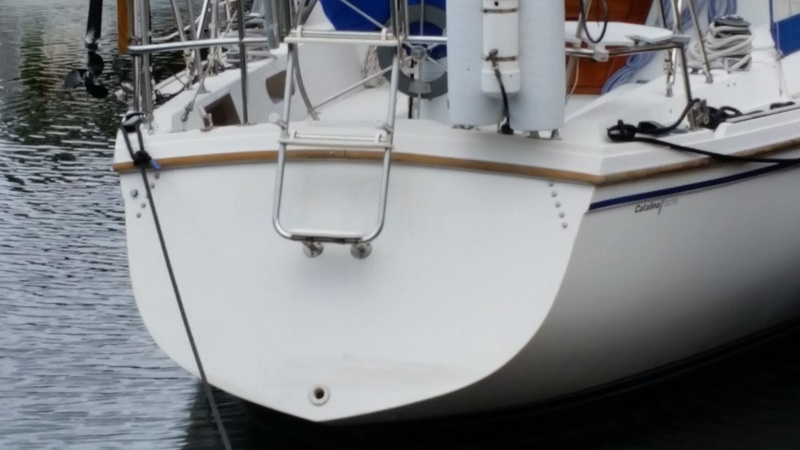 Boat looked good especially after we had the hull repainted below the water line and cleaned and polished above. But when I tried to get out of the water using the swim ladder attached to the transom, wow! the bottom rung of the ladder was perhaps 6" below the water line! I could get up, but no way would Peggy manage that maneuver. Se we need a Swim Ladder Extension. On Saturday I was doing some work in the cabin at the dock. Working on the head was a hot and sweaty job, smelly too, but I had a fan setup to vent the area I was working. We both agreed that fans are really important. So we need Fans for the V-Berth, Main Cabin, the Head, and the Aft Berth, seven in total. So, after doing the usual research on the web, I ordered 7 Fans, 1 Propane Solenoid and a Swim Ladder Extension all from Defender. 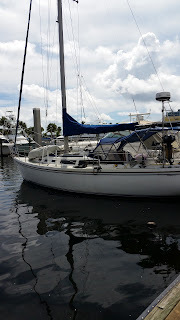 They could arrive before next weekend which means I can install them next Saturday, June 13th which is great as we plan on taking the boat to Pier 66 for the weekend for a Party with the HISC. And that means we would be ready to have the renaming party!!! Monday June 8th is the scheduled closing day and that would make both the P.O. Deke and myself a lot better. Now to keep an eye out for the UPS delivery.